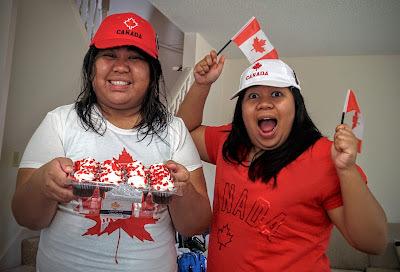 Canada Day High with our flag, shirt, cap, and cupcakes. 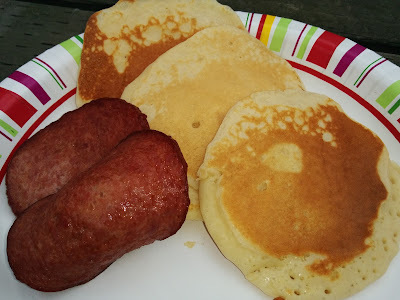 After enjoying our pancakes with sausage, we settled for a space on the sidewalk to wait for the 2-hour parade. 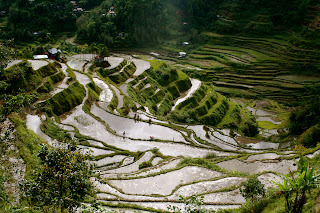 It's from 10:00 AM to 12:00 NN. 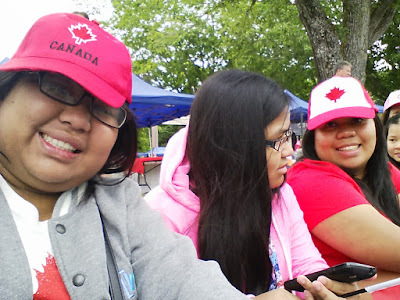 It was a cloudy, drizzling morning and yet we were prepared for a sunny day (we even packed my mini electric fan). 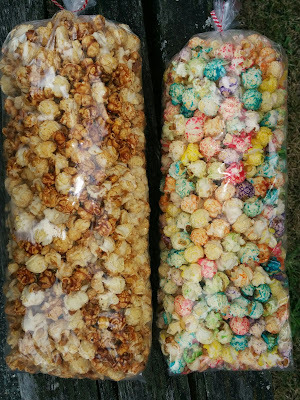 While waiting, I was munching on this freshly popped caramel popcorn. Apparently, the Richmond Mayor was there (please correct this, if another politician was present). 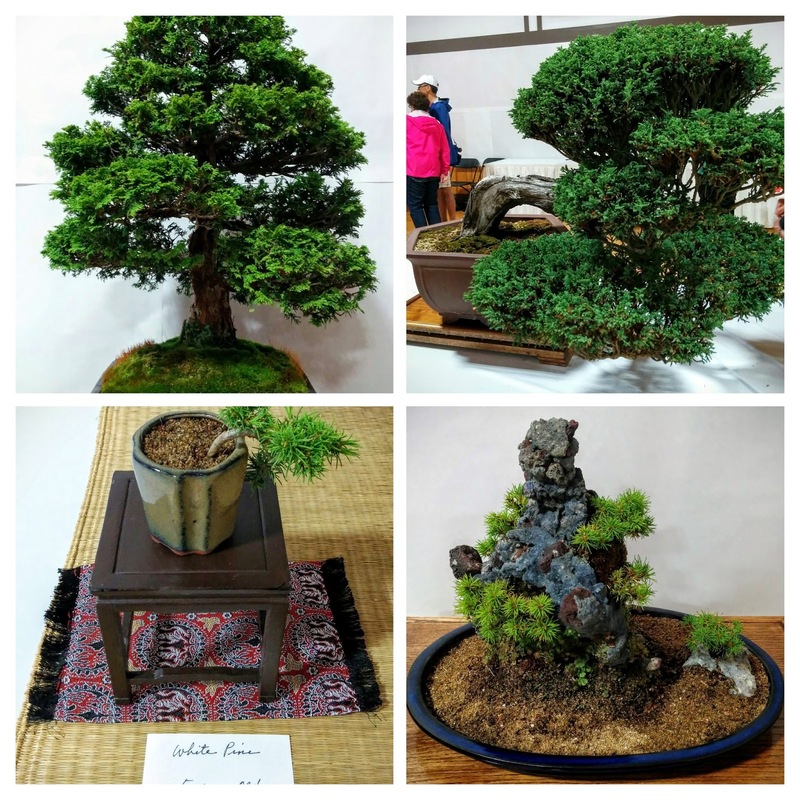 The different clubs and organizations in Richmond were represented. 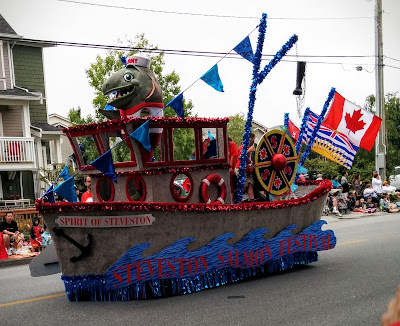 Floats from different cities in BC looked great! Of course, sponsors and event partners. Lots of kids and dogs in Canada colour outfit. What I like so much about Canada? Real diversity. Based on what I witnessed today, Canada Day is a celebration of the people in Canada, regardless of age and race. 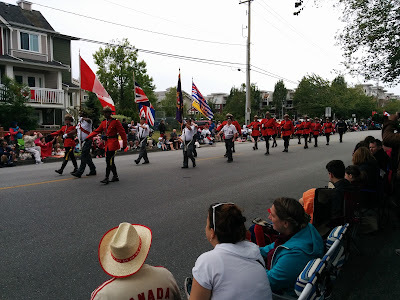 It was indeed an inclusive parade. Sometimes, I think the internet is right, Canada might be a perfect country with its policies. Hmmm. After the parade, we tried to figure out where we will get our lunch. I, initially, wanted to try the Salmon because the Canada Day Celebration at Steveston coincides with the 71st Annual Steveston Salmon Festival. Sadly, the line is too long. Though, it was so fascinating to watch them grill so many salmon at the same time. The crew cooking the salmon! Look at the many people behind them lining up. Because we haven't found an excellent Filipino barbecue restaurant here in Metro Vancouver, we decided to buy Pinoy Barbecue from the Filipino - Canadian Bayanihan Association of British Columbia booth. 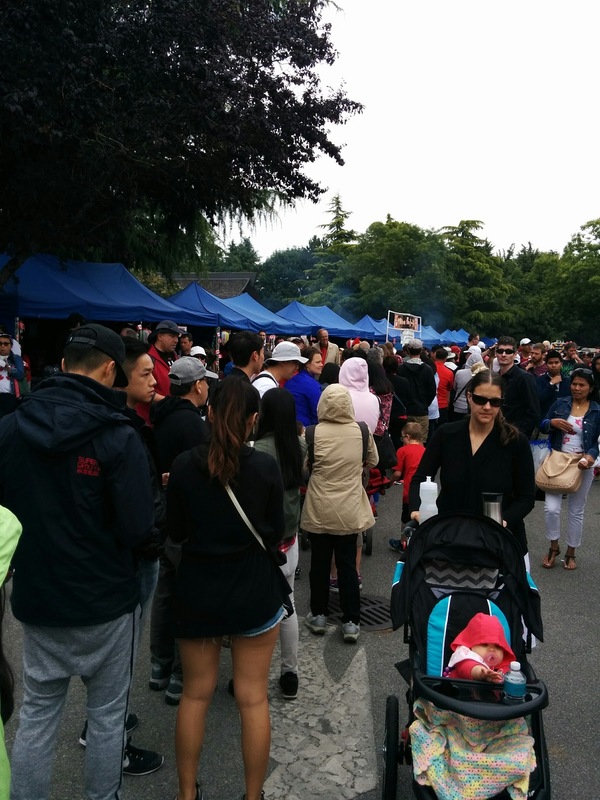 There was a long line of people wanting Filipino food during Canada Day! 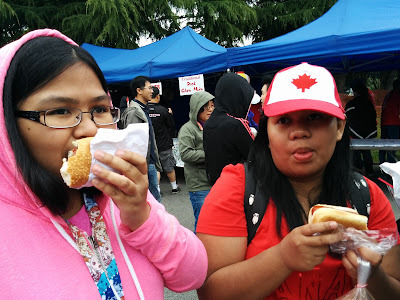 While waiting in line, I purchased some hotdog sandwiches for lunch. 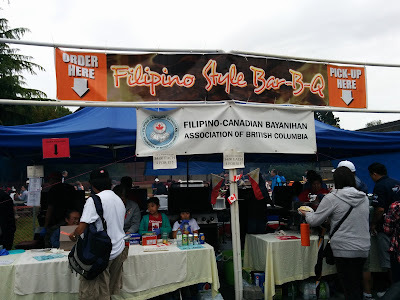 The barbecue has to wait until we get home so we could enjoy it with some rice (how Filipino!). After getting our barbecue, we went to Kendo Hall for Bonsai demonstration, tea ceremony, koto performance, and Japanese odori. 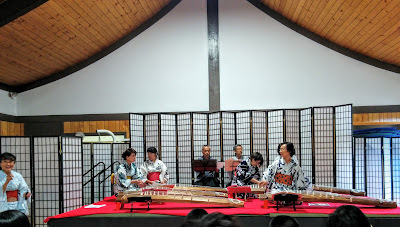 I have to admit I was asleep during the koto performance, not because they were boring or horrible, it was actually the opposite. The music was so calming and relaxing, I took a minute or so nap. It was amazing. 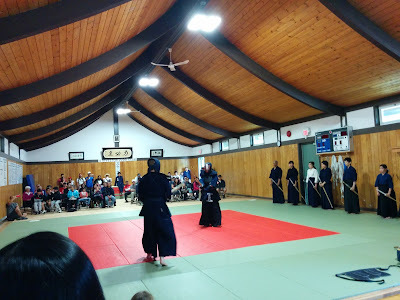 We, later on, went to the Judo Hall to watch a Kendo (Fencing) demonstration then decided to go home. It was such a long day of good food, sister bonding, and learning more (and loving more) our new country.